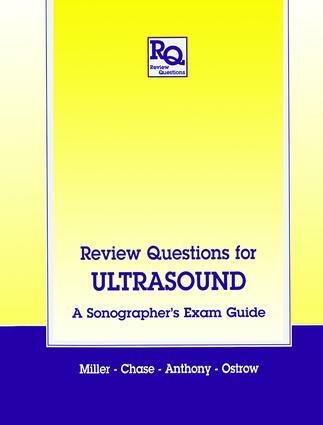 This is a comprehensive, large-format review text with complete answers for the American national examination of the Registry of Diagnostic Medical Sonographers (RDMS). It contains 600 questions divided evenly between sections on physics, the abdomen and small parts, and obstetrics and gynecology. The authors combine many years of experience teaching diagnostic ultrasound and provide illustrative scans and drawings for added comprehension.